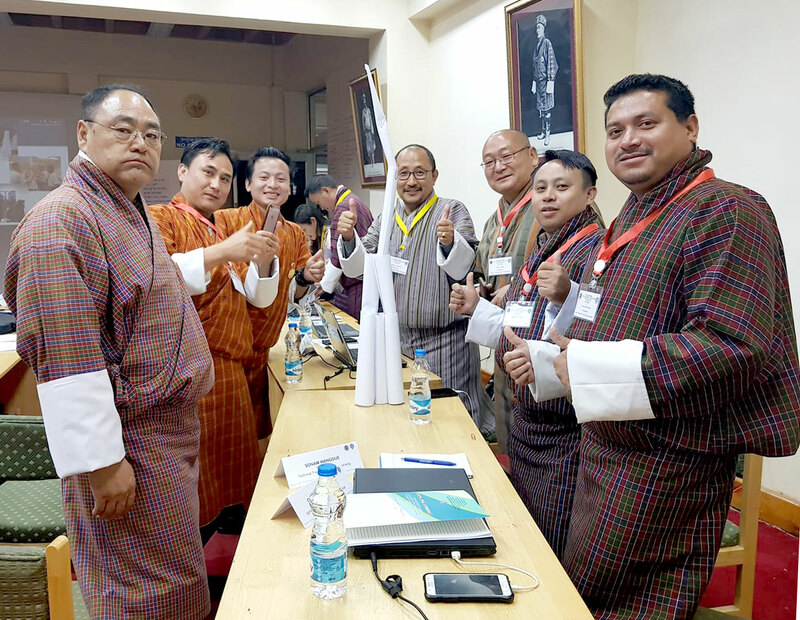 Through the years, The Royal Government of Bhutan has made considerable progress towards setting up of a modern TVET and recognized its significance as one of the strategies to facilitate socio-economic growth and accorded priority. Part of this plan is to upgrade the quality and capacity of TVET schools all over the country. For this year, it tapped the Colombo Plan Staff College to aid them in this endeavor. 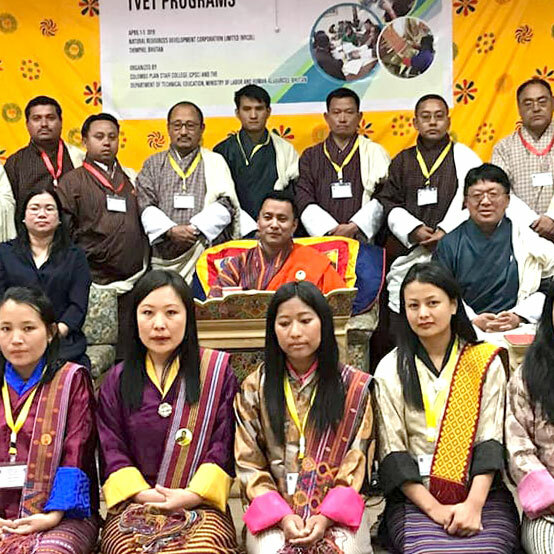 From April 1 until April 5, 2019, a total of 30 trainers, managers, and TVET regulatory authorities from TTIs, as well as private training providers, relevant officials from the Ministry of Labor and Human Resources (MoLHR), and other pertinent stakeholders from Bhutan were trained by CPSC on the role of Accreditation in Achieving Quality-Assured TVET Programs. 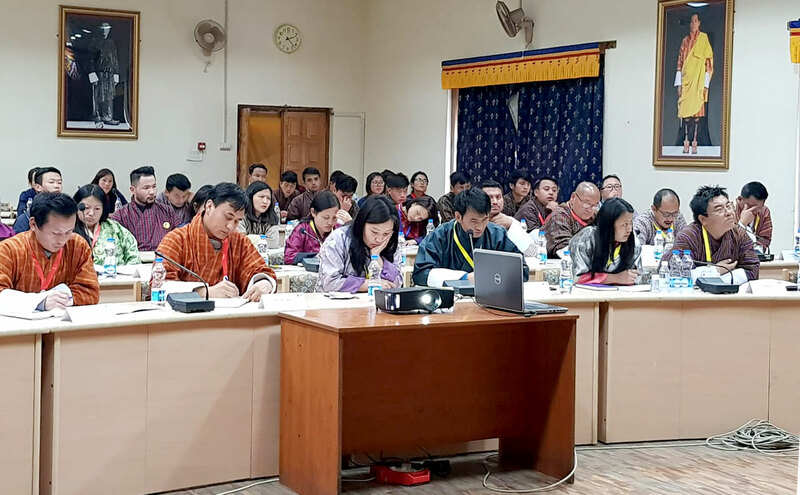 The training program was held at the premises of the Natural Resources Development Corporation Limited (NRDCL) in Thimphu. Through the efforts of CPSC in organizing this program, their quality assurance systems and processes for TVET will be reviewed and enhanced through the competencies and skills of the newly-trained staff. 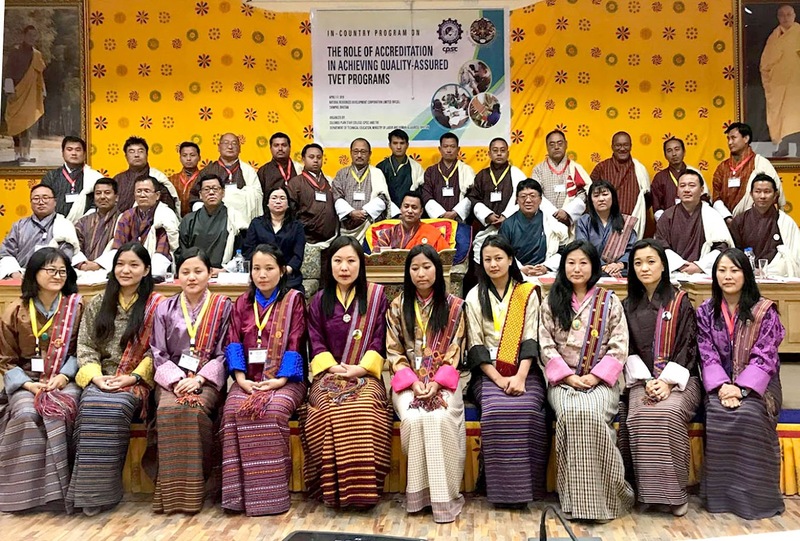 The program was organized to: (1) Enhance the knowledge and skills on quality management system in TVET and suggest possible measures for QMS in Bhutanese context and (2) Recognize the significance of the Asia-Pacific Accreditation and Certification Commission (APACC) for Quality Assurance. The overall arrangements were jointly supervised by the CPSC Director General, Dr. Ramhari Lamichhane and the Director of the Technical Education-MoLHR, Mr. Norbu Wangchuk. CPSC’s Faculty Specialist, Ms. Therese Tan Lee, was the overall program coordinator and primary resource person. She was supported by the Chief Program Officer for the TVET Professional Services Division of MoLHR, Mr. Sangay Dorji, who is also the local coordinator of the program. Discussions about the local context of accreditation was facilitated by the Chief Program Officer of the Quality Assurance Division at the Department of Occupational Standards- MoLHR, Ms. Yeshey Khandu. 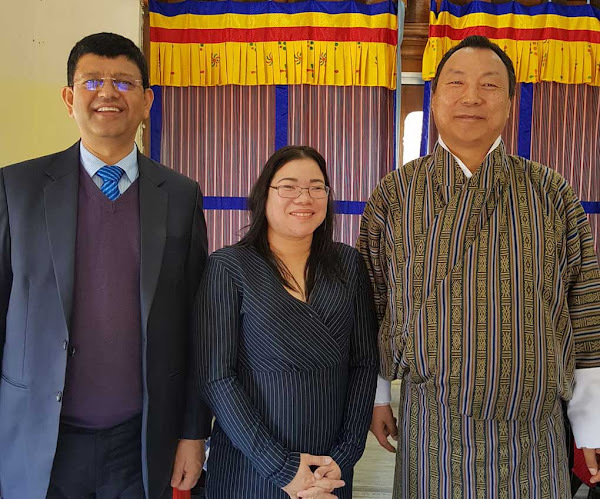 Dr. Ramhari Lamichhane (left) and Ms. Therese Lee (center) with the Honorable Secretary of MoLHR, Dasho Sonam Wangchuk (right) during the opening ceremony. The participants and guests were officially welcomed at the Opening Ceremony held at the NRDCL Conference Hall on April 1, 2019. The event was graced by the Chief Guest and the Honorable Secretary of the MoLHR, Dasho Sonam Wangchuk. 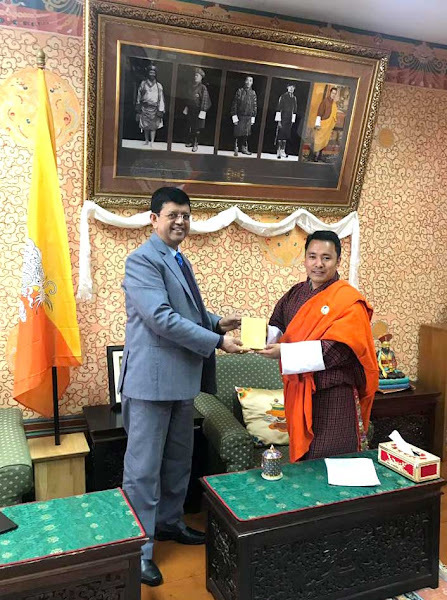 His attendance is an affirmation of MoLHR’s support to CPSC’s activities in Bhutan and a demonstration of their confidence to CPSC’s abilities to deliver the needs of their staff on professional training particularly on TVET quality assurance. The five-day event was a fruitful endeavor filled with activities and sessions that focused on the following themes: (1) QMS in TVET for Skilled Workforce; (2) Quality Assurance System on TVET Programs, Registration and Accreditation System; (3) Quality Assurance System on the National Assessment and Certification; (4) External Quality Assurance using APACC Criteria and lastly (5) Quality Assurance System of Bhutan. 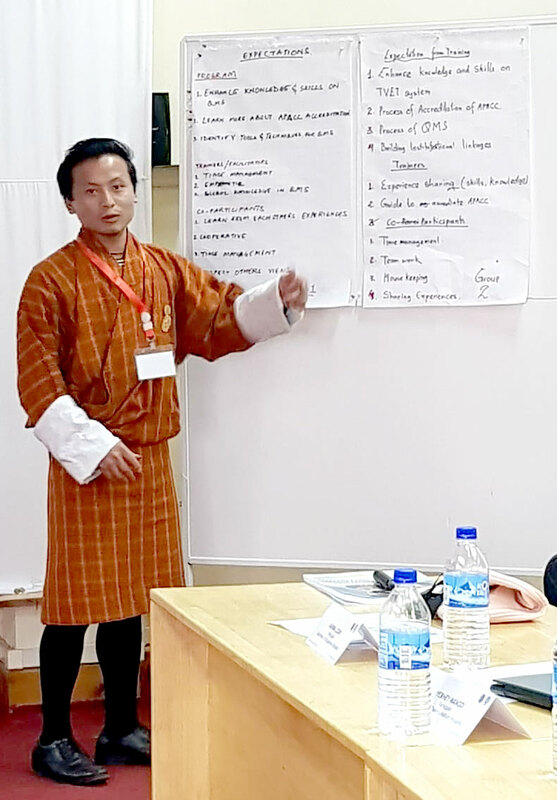 To complement the classroom activities, a study visit to the Royal Institute of Tourism and Hospitality (RITH) in Thimphu was also embarked to provide a more practical approach to fulfill the program’s objectives. The five-day event concluded with a closing ceremon y held on April 5, 2019. In attendance are the high officials of CPSC and MoLHR, led by H.E. Lynpo Ugyen Dorji, Minister for MoLHR. 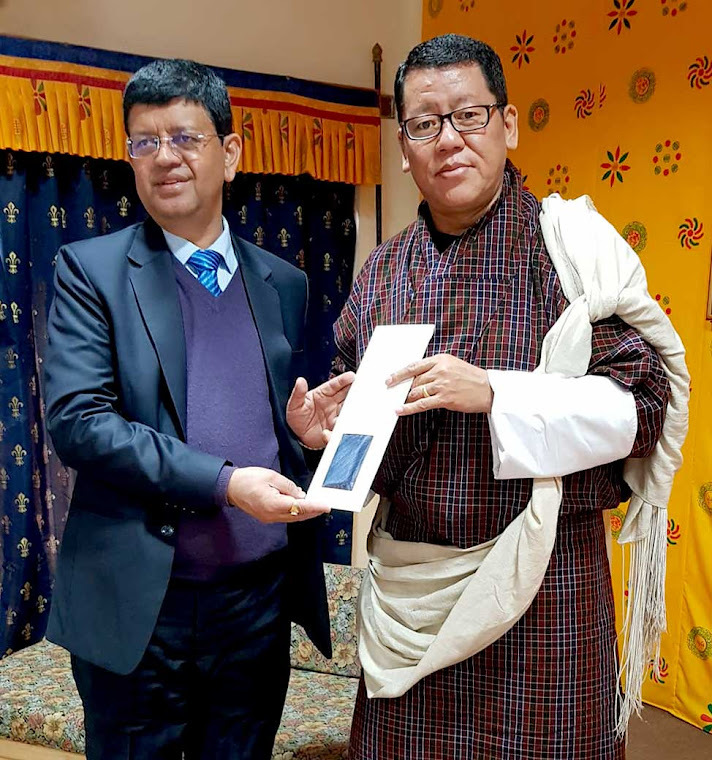 He was able to meet separately with Dr. Ramhari Lamichhane to discuss common areas for future cooperation between CPSC and Bhutan. He was also able to address all the participants of the program and wishes for the overall socio-economic development of the country through the efforts of the TVET sector. Meanwhile, Ms. Therese Lee mentioned in her reflection the need for the participants to further continue their quality experience and lessons to a practical level. She hopes that the achievements of the 5-day activity will be the “arm and tool” of the participants in continuing the voyage towards achieving quality and excellence in TVET. Program participants during the classroom sessions. Held on April 4, 2019, the National Seminar aims to extend the lessons and inputs of the In-Country Program to more audiences in a half-day event. The sessions were organized for the participants to recognize the importance of Quality Assurance Systems in TVET, identify the challenges in implementing the quality assurance system as part of the culture of an agency or organization and institution and recognize the impact of having quality assured TVET Programs and organization in producing quality workforce for the 21st century skills. Notable speakers from the Bhutanese TVET system who attended the event include Mr. Kezang Dorji (Training Director, NLD Institute) who discussed industry/enterprise best practices on quality assurance system as part of the organizational culture; Mr. Yeshey Wangdi (Vice Principal, Technical Training Institute-Rangjung) who tackled TVET institution/school’s best practices on quality assurance system as part of the organizational culture and Ms. Yeshey Khandu (Chief Program Officer, Department of Occupational Standards-MoLHR) who elaborated on government agency/office best practices on quality assurance system as part of the organizational culture. On behalf of CPSC, its Director General Dr. Ramhari Lamichhane discussed the needed skills for the 21st century while the Program Coordinator and CPSC Faculty Specialist, Ms. Therese Lee talked about the role and impact of Quality Assurance System in producing a quality and globally competitive workforce for the 21st century skills. The half-day affair was attended by 70 participants composed of MoLHR and TTI staff members from all over the country, in addition to the program participants.